Join with the world to celebrate, this year under the theme: Tourism & Sustainable Energy – Powering Sustainable Development. Celebrando con el mundo el tema de Turismo y Sostenibilidad Energetica: Propulsores del Desarrollo Sostenible. We share with you our support with Rainforest Alliance on the Follow The Frog Week, do check this links!! Thanks for supporting! The Guatemala National Parks Council (CONAP) launched an official website with information about the National Parks, Nature Reserves and Protected Areas. It’s information is very important and useful for tour companies that offer Guatemala, and even more to those of us committed to Sustainable Tourism operations because most of Guatemala’s tourist attractions are located within national parks, nature reserves or protected areas. Four Directions will participate in the 2011 Service Summit, an event that promotes the export of services and is organized every 2 years by AGEXPORT (www.agexport.org.gt). It will take place on September 29 & 30 in Guatemala City. FOUR DIRECTIONS proudly announces the completion of all the procedures to become a certified Sustainable Tour Operator and that it has been achieved with the Silver Seal (over 85% of the international sustainable tourism criteria fulfilled), the highest obtained among the certified Guatemalan tour operators so far. The Certification is given by Great Green Deal and it is supported by the worldwide recognized Rainforest Alliance. This is certainly a reward to the efforts of our staff, and more than that, it implies the responsibility to work harder in order to keep the Certification in the years to come and to improve it to a Gold Seal. It is a commitment towards Sustainability, which is based on 3 equally important components: Better management, Community Involvement and Environmentally friendly operations. Our next step is to invite all those participants in our business network to join the sustainable tourism efforts: from clients abroad to hotels and tour services’ suppliers. Ask us or visit the Rainforest Alliance website and find out more about how to get involved. FOUR DIRECTIONS anuncia orgullosamente que ha completado todos los requisitos para certificarse como Operador de Turismo Sostenible, y que lo alcanzó con Sello de Plata (más del 85% de cumplimiento de los criterios internacionales de turismo sostenible), el más alto obtenido por los operadores de turismo de Guatemala hasta el momento. La Certificación es otorgada por “Great Green Deal” y cuenta con el respaldo internacionalmente reconocido de Rainforest Alliance. Esta es sin duda una recompensa a los esfuerzos de nuestro personal y más que eso, trae consigo la responsabilidad de seguir trabajando para mantener la Certificación en los años venideros y convertirla en Sello de Oro. Es un compromiso para con la Sostenibilidad, que se basa en 3 componentes igualmente importantes: Mejores procedimientos gerenciales, Mayor involucramiento de las comunidades y Operaciones ambientalmente responsables. El siguiente paso es invitar a todos los que forman parte de nuestra red de asociados comerciales a que se unan a los esfuerzos del turismo sostenible: desde nuestros clientes en el exterior hasta los hoteles y demás proveedores de servicios turísticos. Pregúntenos o visiten la página en la red de Rainforest Alliance para informarse sobre cómo involucrarse. Mexico anounces a new, “peso-only” policy. As of September 2,010 all vacationers travelling to Mexico will be required to use Mexican pesos only. Other currencies, including Canadian and American dollars will no longer be accepted. The use of international credit/debit cards is unaffected as transactions will continue to be processed in Mexican pesos, as per current practice. It is recommended that travellers bring Mexican pesos and/or credit cards to avoid difficulties. 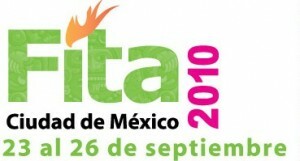 Four Directions will be attending the International Tourism Fair of The Americas, FITA that will take place en Mexico City between September 23rd and 26th, 2010. This is will be the first FITA with which Mexico is looking to become the annual venue of a world class tourism fair like those of London, Berlin, Madrid, Tokio and Buenos Aires. Four Directions will be represented by Mrs. Diana Castillo and will have a stand with the Guatemala Tourism Commission where meeting will be held with wholesalers from North and South America, Europe and Asia interested in learning more about the Mesoamerican tour attractions. Like it happens every year, the hurricane season in the Northern Hemisphere Tropics has started and the very first one on the Pacific Ocean side, called “Agatha” reached Guatemala on Saturday May 29th with a higher than normal amount of rainfall. An eruption from the Pacaya Volcano on the evening of Thursday, May, 27th, left covered Guatemala City and surroundings by a layer of volcanic ash, and the foot hills of Pacaya volcano with many volcanic rocks. Two persons died, one nearby the volcano and one more when the roof he was removing the ashes from collapsed. Removing the ashes from the Guatemala City International airport’s runway, that is 2 miles long, will be completed until Sunday May 30th and it will be then that the airport operations will return to normality.